Sisool blends the familiar warmth and subtlety of wool with the robust, textural qualities of sisal to bring hard wearing luxury to your favourite rooms. Sisool rugs from The Natural Rug Store are bespoke and prices are based on your rugs configuration. 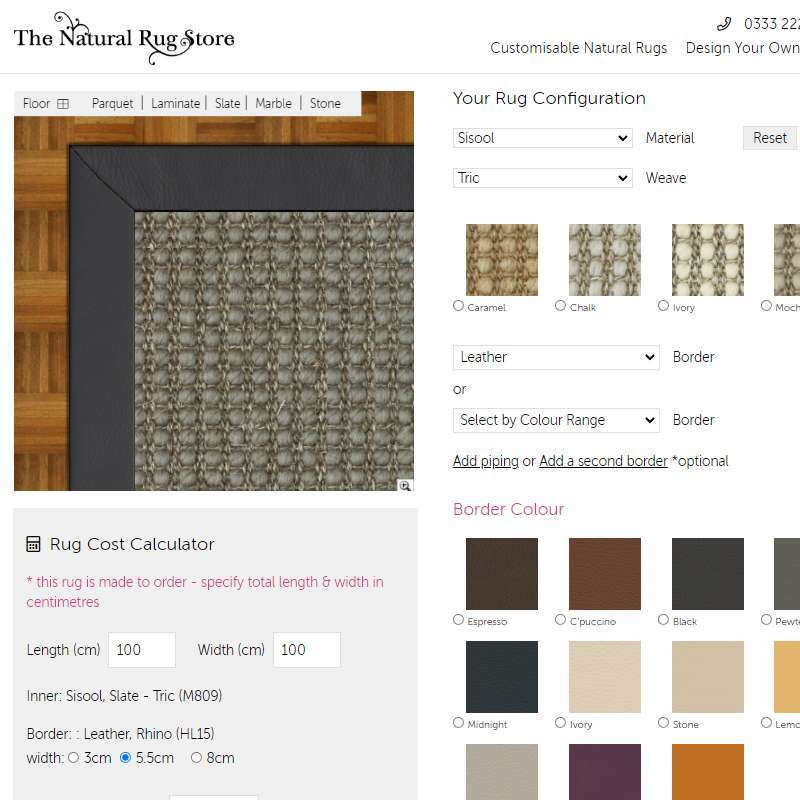 Use the Rug Builder to design your own superior quality Sisool rug or runner. Create and save as many rug designs as you wish, and when you're completely satisfied, buy securely online! Sisool - Sisool is a combination of Sisal fibre and Wool. Originally from Mexico, Sisal is also called “Green Gold” and the fibres, extracted by a process called decortication, were traditionally used for rope making such is their strength. As one of the most traditional rug materials Wool is also extremely hard wearing with 17th Century rugs surviving to this day! It’s popularity further secured by its softness underfoot. Sisool at The Natural Rug Store which fuses the strength of Sisal with the natural softness of wool creates a textural floor covering that is both practical and luxurious. To compare Sisool against our other natural materials please see our Suitability section. For peace of mind we offer INTEC stain protection treatment. INTEC works by coating every fibre in a polymer shield, which reduces the impact of spills and watermarks. INTEC is environmentally friendly, completely safe and does not affect the colour or the texture of your rug. This option can be selected at the checkout for a small extra cost before paying.